There’s a lot involved when creating your website. We make it simple. Helping you from A – Z with your online presence, we can advice on your domains, set up your webhosting and emails, design and build your custom website, and implement SEO packages to help your website listing rank higher on Google. We can manage and maintain your website for you, as well as give you the tools to easily manage it yourself. We can help with social media, videos for web, WordPress training, as well as content generation, website reviews and consulting. Please see our various web services below, and don’t hesitate to ask us regarding any questions or concerns you may have. We’re here to help! 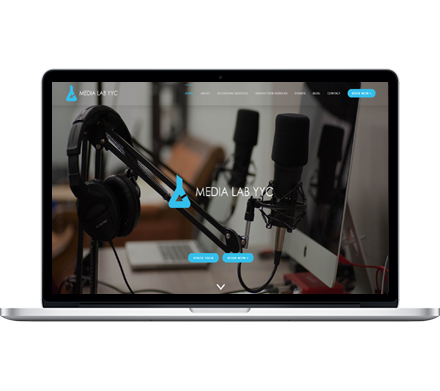 Custom designed, mobile-responsive, professionally-built business websites, complete with training and the ability to manage all your content. Our webhosting packages includes full email services, automated daily backups, 24/7 support plus 100 GB of server space! Chat with us before grabbing your domain name. We make sure you get the right domain from the right provider and then set it up properly. A solid SEO foundation will help your website rank higher on Google and search engines. We can help your potential customers find your website online. Not sure what you need to start selling online? From software to SSL, we can make recommendations as well as build your online shop for you. We can produce helpful training videos for clients and staff, interviews with owners, documentary-style company stories, and engaging advertising. Nobody likes waiting for a website to load. It can drive customers away from your site and potentially hurt your SEO rankings. Whether we built your website or someone else did - learn to take control of your website and easily edit content, pages, images, and blogs. Business owners often aren't sure about social media platforms or how to use them effectively. Let us help with coaching and social media plans. You have a great website but very low traffic? Drive additional web traffic and potential customers to your site with lead generation tactics. Creating great written content for your website or printed ads can be very difficult. Let us help. Is your website just good, or is it great? Not sure? We can review your website in terms of professionalism, features, ease-of-use, SEO and technology. Whether you need help with editing your website, deal with email, adding website security, or translating website traffic statistics, we've got you covered. Use our online Free Quote Form to get started on your dream website project today!